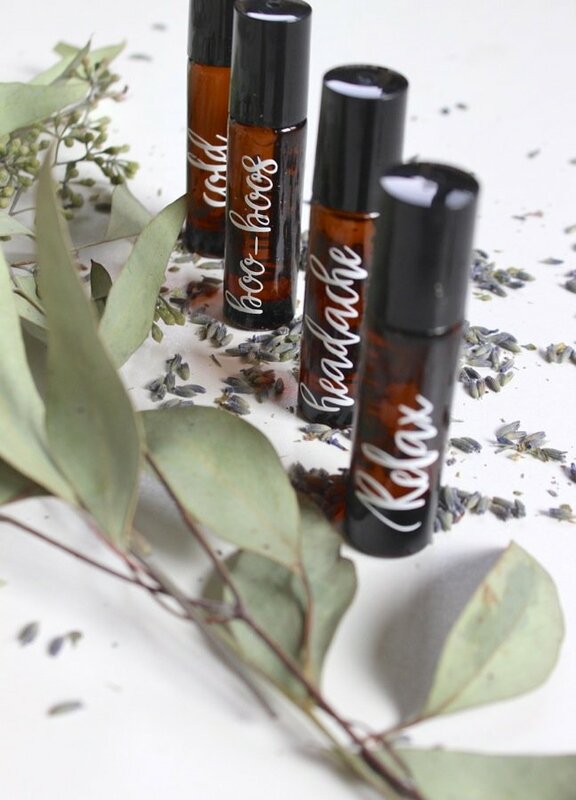 Guys, I am a machine when it comes to making essential oil roll-ons! 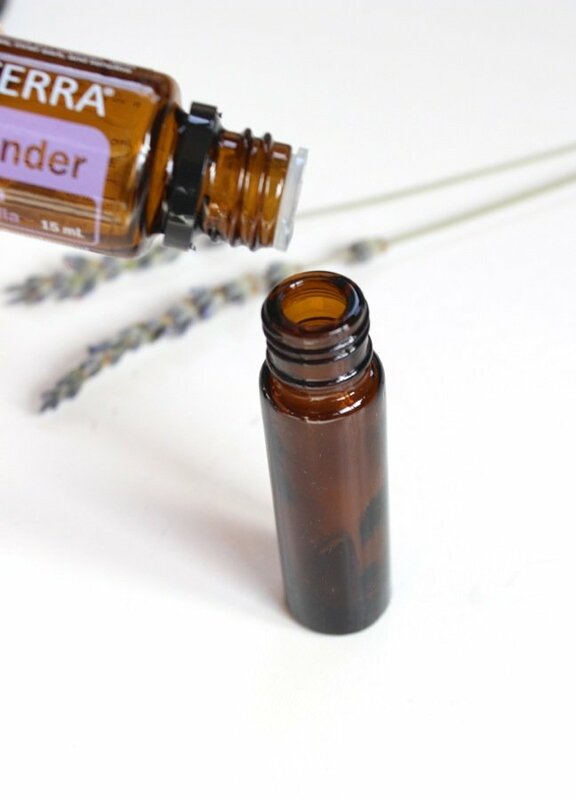 My favourite nightly routine is rolling lavender essential oil on my temples and upper chest. The scent relaxes my mind and body at the end of a long day. 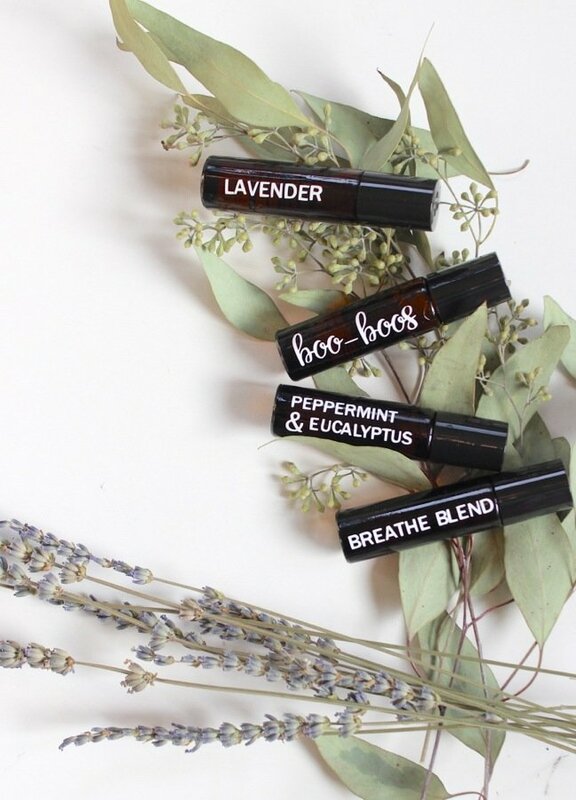 My family has been using essential oils for various health ailments for several years, but, it wasn’t until recently that I figured out that I can make my own version of the popular oil roll-ons. 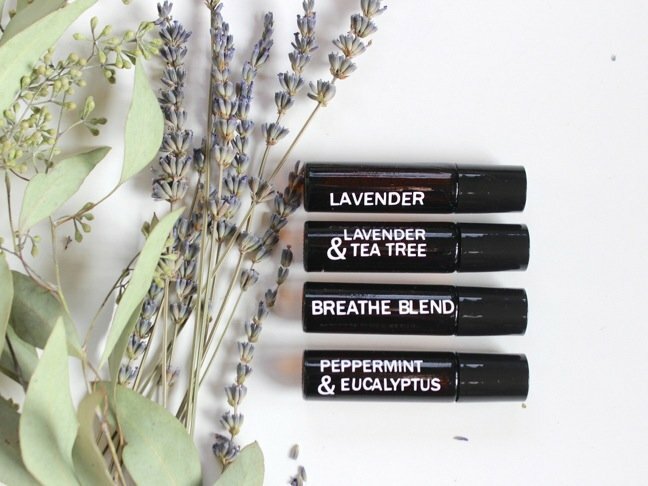 Since the holidays are coming up, I am going to share some of my favourite DIY essential oil roll-ons with friends and family. It’s a homemade gift that is quick, easy, and affordable to make. I made about six bottles in less that 30 minutes. 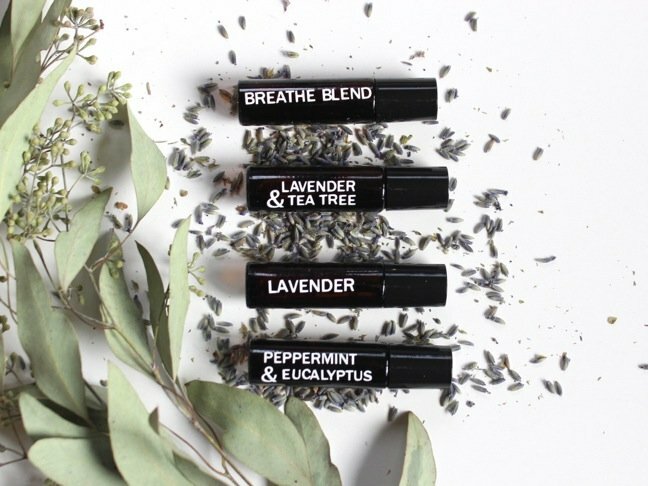 I focused on scents that combat stress, headaches, minor scrapes and burns, and nagging coughs and colds. 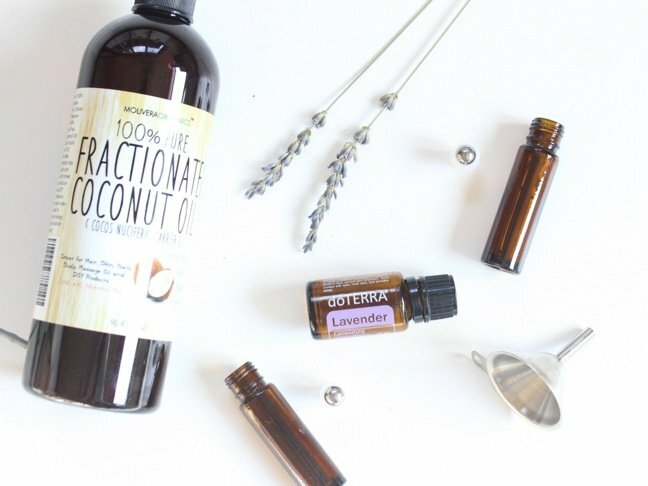 I used fractioned coconut oil as my carrier oil, but you can use jojoba oil or almond oil instead, if you wish. 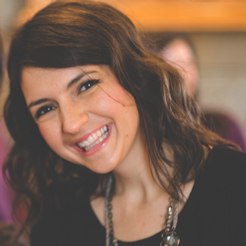 Looking for a DIY holiday gift for friends and family? 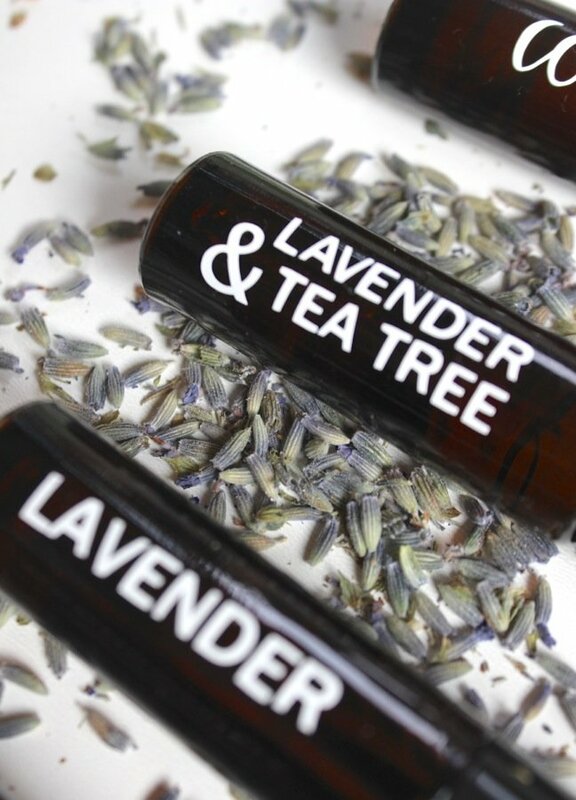 Here’s how I made my DIY essential oil roll-ons. 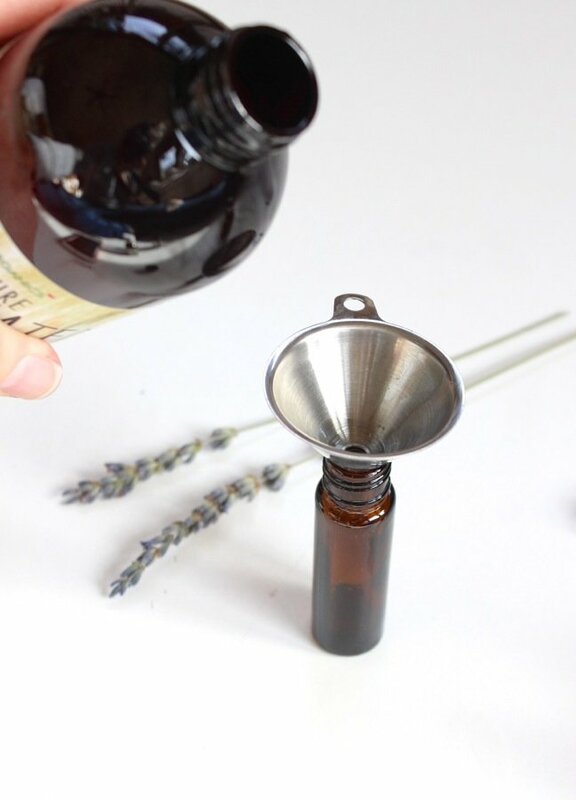 Step 1: Pour essential oil drops into the bottle. You do not need to use the funnel for this step. 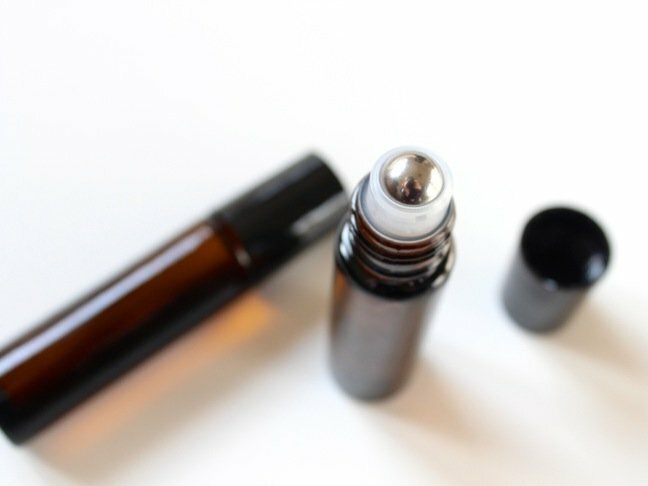 A general rule of thumb with the 10 ml bottle is to put 15-30 drops of essential oil into it. For my roll-ons, I used the following ratios. Step 2: Fill the remainder of the glass bottle with fractioned coconut oil. The mini funnel is a life-saver on this step. Step 3: Add the roller-ball top, and then the cap. Step 4: Label the bottles. You can make up fun names, or include a list of the ingredients. 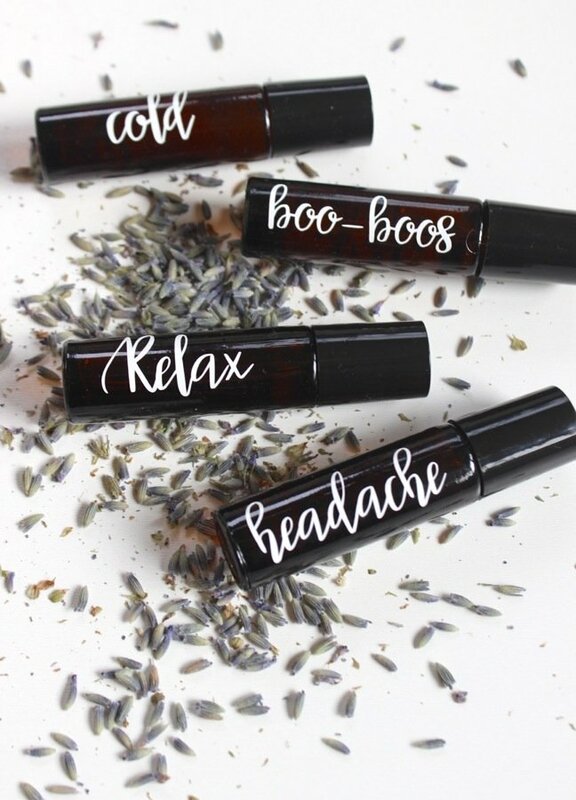 I labeled my bottles with the ailments, as well as the essential oils on the other side of bottle.